You are here: Home > MCSD News & Alerts > MCSD News & Alerts > Colorado News > MCSD’s October 2018 Outstanding Employees! The MCSD Employee Recognition Award is for those employees who go above and beyond on a continual basis for students, staff, and/or parents. Nominations can come from the community, parents, staff members and students. The district will be recognizing employees monthly in their buildings as well as at the televised board meeting of that month. 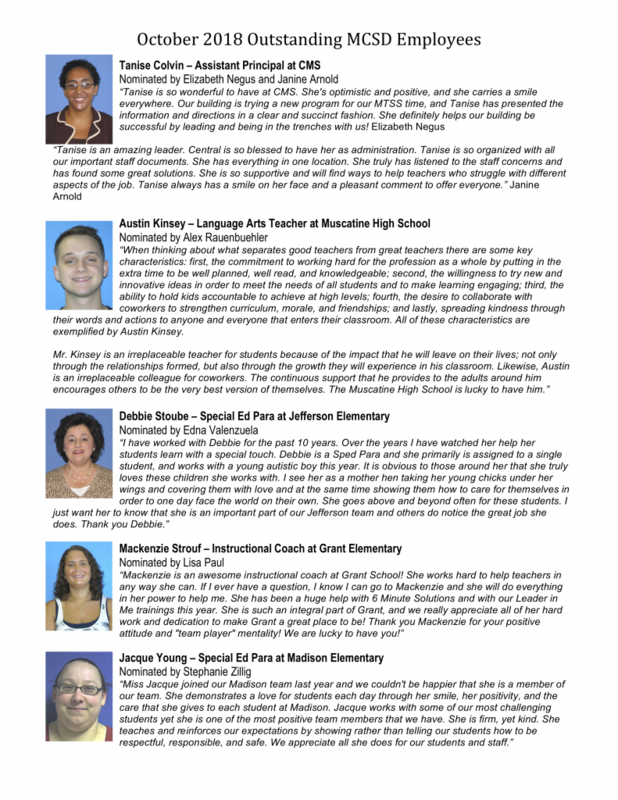 The district would like to take this opportunity to introduce to you and congratulate October’s best of the best at MCSD!